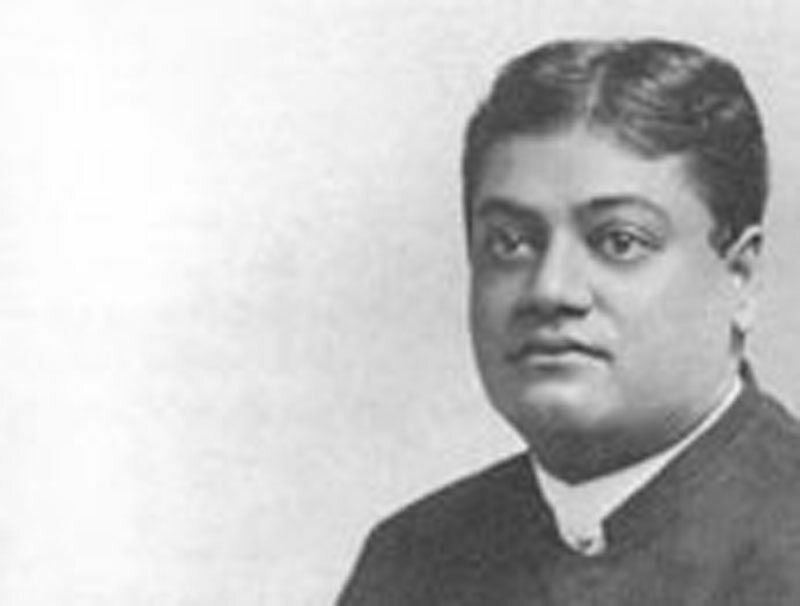 February l4th, 1894, stands out in my memory as a day apart, a sacred, holy day; for it was then that I first saw the form and listened to the voice of that great soul, that spiritual giant, the Swami Vivekananda, who, two years later, to my great joy and never-ceasing wonder, accepted me as a disciple. He had been lecturing in the large cities of this country, and on the above date gave the first of a series of lectures in Detroit , in the Unitarian church. The large edifice wag literally packed and the Swami received an ovation. I can see him yet as he stepped upon the platform, a regal, majestic figure, vital, forceful, dominant, and at the first sound of the wonderful voice, a voice all music-now like the plaintive minor strain of an Eolian harp, again, deep, vibrant, resonant-there was a hush, a stillness that could almost be felt, and the vast audience breathed as one man. The Swami gave five public lectures and he held his audiences, for his was the grasp of the "master hand", and he spoke as one with authority. His arguments were logical, convincing and in his most brilliant oratorical flights never once did he lose sight of the main issue-the truth he wished to drive home.